I don't tbink any word with preneur at the end of it can be clearly defined. It will have different meanings for different people. Good post! Love this! NEVER give up on your dreams and do what YOU love. Being a mom doesn’t mean you drop everything else that makes you who you are! I think Mompreneur for me has had a connotation of being in a multi level marketing program, which I have lots of feelings about, haha. That said, now I see it as more a descriptor of a mom that isn’t letting her family keep her from pursuing her own goals which fantastic, no matter what business model she chooses. I don't mind the term! But I'd probably just stick to Lady Boss. Or something like that ;) I love being a mom, but I am more than that. Wow! That was so cool! Mom + entepreneur are totally great combination. (MOMPRENEUR) I really like it! I've actually never heard that word before, haha. Probably because I'm not a mom ;) I think it's awesome when any woman decides to go it alone and work for herself! I've definitely heard the term used and I think it's cute. I have crazy respect for all the moms out there that are doing their mom duties and also working for themselves, too! I think there is nothing wrong with momprenuer and struggle to understand why people would have an issue with it. Keep rocking it lady. While I do think it's a very wonderful and inspiring thing to see moms and women taking charge, building their own businesses and not for one moment casting aside their duties as mothers, I'm in the 60% camp. Would we call a Dad who is an entrepreneur a 'Dadpreneur'? No. Just like we wouldn't call a man who is a boss a 'guy boss'. Why does a mother need a special term? I know the intent is to make it feel like she can build a business AND a family but to me the term feels like just another step away from equality. I tend to agree with Lyddie. 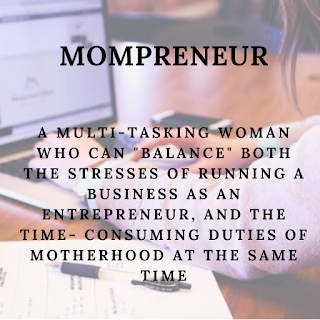 I've always felt sort of weird about the term mompreneur because it connotes that women can't just be regular entrepreneurs for some reason. I definitely feel the same about "Girl boss" and terms like that. I do think it's cool to take ownership of both identities though, and embrace it. Thanks for sparking this discussion! 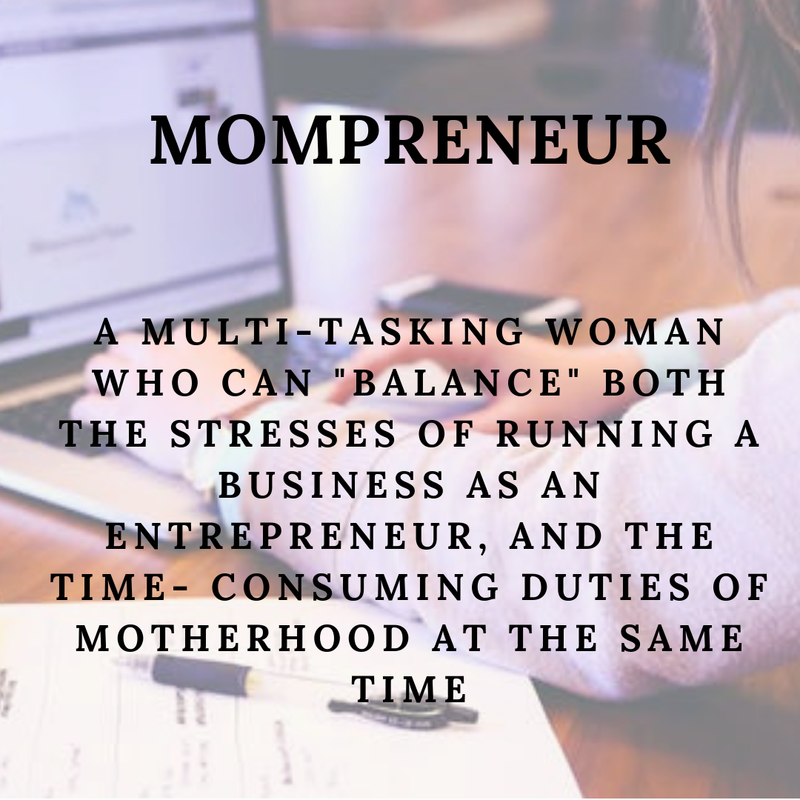 I agree with the definition, I'm a mompreneur as well. I've never heard of the term but it's great to see that it is here t articulate the experience of women killing it professionally and at home! I actually don't mind it because at the end of it all, if we do what makes us happy then a title shouldn't make us feel any different. 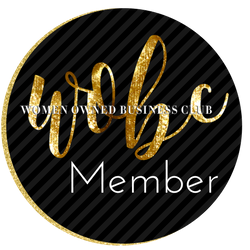 Being a mompreneur would definitely sound crazy to some ladies out there, but some would totally love it, I will go with that I loved the idea. It's really important to be independent all the time. I'm not keen on the word, I don't know why. But it doesn't matter really as long as we have the work/family balance. I love this word because Moms can do more than be just "Mom!" I love this. 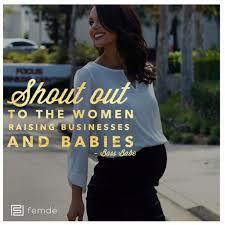 Hopefully one day I'll be a mompreneur! Actually I love this word. It is different and I think everyone can easily understand this word meaning. I'll surely use this word in future because I like it. Great post. Don't like the word but completely agree that mums can be and do more than just being a mum.. Respect to all Mompreneurs who manage homes, kids and their business. Takes a lot of courage! What's wrong with the word "Mompreneur" I LOVE it! Its a wow! Absolute way of keeping home stay mom to be busy. I don't mind the term mompreneur. I am rarely bothered by labels unless they are negative.